The Board does not own any of its adopted watercourses and the Boards powers are permissive which is to say that it does not have a duty to maintain them. The ultimate responsibility for maintenance lies with the riparian owner. The basic law of land drainage is that a person must accept the natural flow of water from upstream and they must not obstruct water from flowing, either causing flooding upstream or dry watercourses downstream. Under section 23 of the Land Drainage Act 1991 it is an offence to cause an obstruction or alter the flow of any watercourse without the written consent of the Board. For more information, click on the Consents section of the website. Maintenance of the watercourses comprises of “brushing” which is clearing the channel of weed growth. This is done annually during late summer and autumn to remove vegetation to allow free drainage for the winter rains. It is carried out late in the season to minimise re-growth and to allow nesting birds to rear their young successfully. Excavators fitted with mechanical weed-cutting baskets do most of the weedcutting but hand brushing is still used where machines cannot work. Contractors are employed to undertake this work. 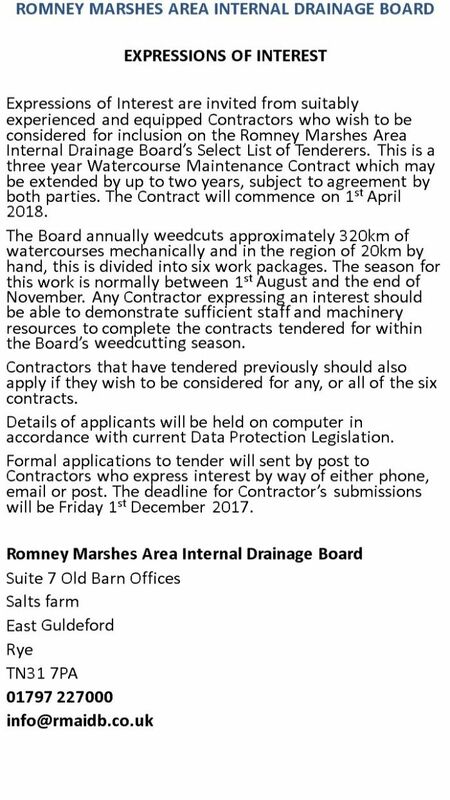 Desilting of the watercourse to remove the build up of silt used to be undertaken on a 10 year programme but since the introduction of mechanical weed cutting it has been found that the need for desilting has lessened. Therefore we carry out desilting on an "as need to" basis. 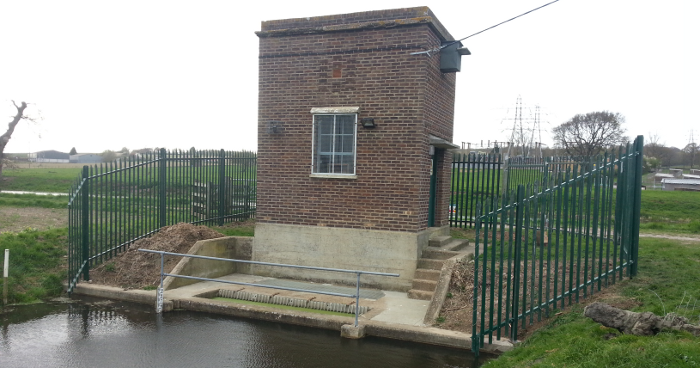 At the end of the wet period in spring time, stop boards are placed in structures across the watercourses to hold the water at a higher level during the summer months. This water is used as wet fencing for stock, for irrigating arable crops and benefits conservation. Although water levels appear much the same throughout the marsh, water can be moved through much of the marsh by the removal and placing of these boards or operating other types of sluice. Some of these stop structures have been in existence for hundreds of years and levels have been operated in much the same way.